Gonna have Friday night fun in the city as a place in the top half awaits the winners of tonight’s Premier League clash. The latest in a regular series of ‘must-win’ games sees West Ham entertain Brighton & Hove Albion at the London Stadium. Although there is always something special about night-time football under the floodlights there is also something unnatural about games being played on a Friday night – surely this should be reserved for clubs such as Southend United. On the other hand, West Ham have a 100% win record for home Friday night Premier League fixtures which we should have a good reason to preserve against the south coast day trippers. Today’s visiting manager is one-time Hammer Chris Hughton, who having spent most of his playing career at White Hart Lane was signed by Billy Bonds, as cover for the injured Julian Dicks, and became a regular during the promotion season of 1990/91. His management career has been a mixed bag: having been unfortunate to be dismissed from Newcastle in favour of Alan Pardew; taking Birmingham City to the Championship play-offs; before experiencing a less successful period in charge at Norwich City. In his third season as manager of Brighton the club achieved automatic promotion from the Championship to earn a return to the top tier of English football for the first time since 1983. Having watched Brighton’s home match against Everton last weekend it was apparent that Hughton has put together a resolute and well organised side even if it lacks something in creativity and goal threat. Although Everton dominated first half possession they moved the ball forward far too slowly (very reminiscent of how West Ham play) allowing Brighton to easily re-group and defend in numbers. If the Hammers adopt that that usual ponderous and pedestrian style again tonight it will turn out as another frustrating ninety minutes at the London Stadium. 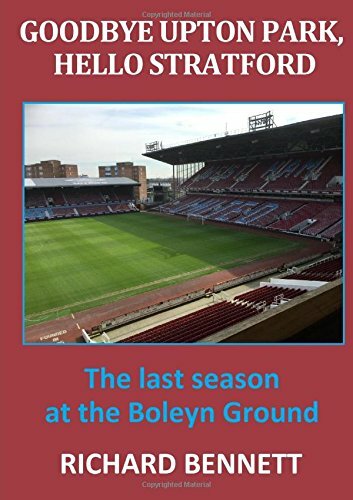 If you ignore Southern League and war-time cup games then West Ham and Brighton have only crossed swords on twenty-one occasions, with the Hammers winning eleven and losing five of those encounters. On home soil, West Ham have won nine out of the twelve games played. The single Brighton victory in the east end was in a Championship game in November 2004 and may serve as a warning against what could happen tonight. West Ham dominated the entire game (mugged off in the words of manager Pardew) mustering seventeen attempts on goal, of which only three were on target. Conversely, Brighton scored the only goal of the game from a rare foray into the West Ham half. With Andy Carroll missing through suspension cue an injury to Diafra Sakho, joining James Collins on the treatment table. There is a slight doubt about Javier Hernandez but he is expected to start. The disappearing striker phenomenon could possibly open the door for Tony Martinez to spend an evening on the bench. In normal circumstances I would say that tonight’s team picks itself with Pedro Obiang coming into the side in place of Carroll as the only change from the eleven that started at Burnley. This would allow Hernandez to play alone up front but with support from Michail Antonio and Marko Arnautovic in wide positions while Manuel Lanzini is given more freedom in a central attacking position behind the striker. In fact, this may well be the best balanced eleven that we have in the squad. Whether Mr Bilic has the same idea remains to be seen. There has been much praise in the week for the performances of Jose Fonte, proclaimed as West Ham’s most improved player of the season, Although this probably reflects on how bad he was previously than on any sudden display of brilliance. The back four is generally competent at heading the ball away and is only exposed when it comes up against attackers with pace and movement. It is doubtful whether Brighton, in the shape of 34-year-old Glenn Murray, will be asking too many questions in that respect this evening. It is a second encounter of the season with Martin Atkinson from West Yorkshire, Atkinson having previously officiated in the season opener at Old Trafford. He was in charge of four Hammer’s games last season; defeats to Watford (Home) and Arsenal (Away) and away wins at Palace and Middlesbrough. Merson has this down as a 1-0 Hammers win while Lawro goes one better by predicting a 2-0 home victory. The match has the look of an only goal of the game victory to me and fingers crossed it will go our way. One-nil to the cockney boys is fast becoming our trademark home result (particularly in ‘must-win’ games) and it will also be consistent with the two previous Friday night Premier League wins. An early West Ham goal could, of course, put a completely different complexion on the game while the longer Brighton can hold out the more frustrating the game could become. Long gone are the days when you would experience that feeling in your water that the Hammers could very well go on a goal scoring rampage at any time.